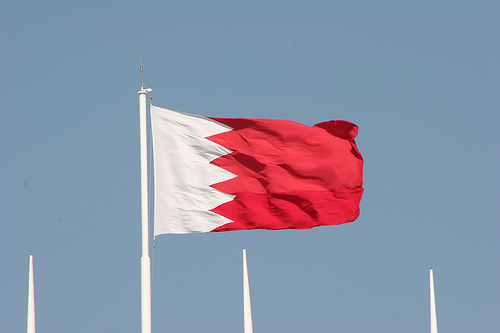 Geneva - The measures to be taken by the Bahraini authorities against social media users by imposing strict control over their accounts are deeply alarming, warns the Euro-Mediterranean Human Rights. Bahrain has grown into a country with a high record of violations of the right to freedom of opinion and expression by chasing activists and opponents on various charges, most notably for “spreading false news,” Euro-Med Monitor said in a press release Yesterday. Social media sites in Bahrain, especially Twitter, are a major platform for human rights activists, as well as opponents and critics of the ruling regime's relentless and repressive policies, added the Geneva-based human rights organization. In the past years, the Bahraini authorities have carried out large-scale arrests of journalists and activists. The most prominent of whom was Nabeel Rajab, who was sentenced on 21 February to a five-year imprisonment for a tweet he made on his personal account for opposing the war on Yemen, and also criticizing the judicial procedures in Bahrain. Rajab was charged of spreading false news and insulting a foreign country - in reference to Saudi Arabia - for waging war on Yemen. The Bahraini authorities have also punished opposition activists living abroad by arresting members of their families inside the country. In May last year, Bahraini authorities arrested the father and sister of the political activist in Germany, Youssef al-Huri. He called for a “peaceful sit-in on his twitter account to protest his country's repressive practices against activists and opponents.” The Bahraini authorities asked Yusuf's father during his detention at the police center to contact his son Yusuf and inform him not to engage in any opposition activity. Referring to the report issued in mid-November by Freedom House on “Freedom on the Net 2017” for countries around the world, which classified the State of Bahrain as "Not Free" for several reasons. Some include restrictions on the Internet, blocking communication applications in the country, and banning websites of religious and political associations. The Bahraini authorities arrested dozens of activists in the period between June 2016 and May 2017. These activists were sentenced to prison terms totaling 148 months because of their use of social media, according to Freedom House. The Euro-Mediterranean Human Rights Monitor calls on the Bahraini authorities to respect the conventions and treaties ratified by the Government of Bahrain, in particular the International Covenant on Civil and Political Rights, Article 19, which states that, “Everyone shall have the right to freedom of expression; this right shall include freedom to seek, receive and impart information and ideas of all kinds, regardless of frontiers..” Article 19 of the Universal Declaration of Human Rights uses a similar wording providing for the right to expression.